In 2015, Salisbury will celebrate Magna Carta’s 800th anniversary in what promises to be a banner year for the city. This ancient document is one of many treasures in this charming English city, from prehistoric stone circles through to medieval pubs and stately homes. 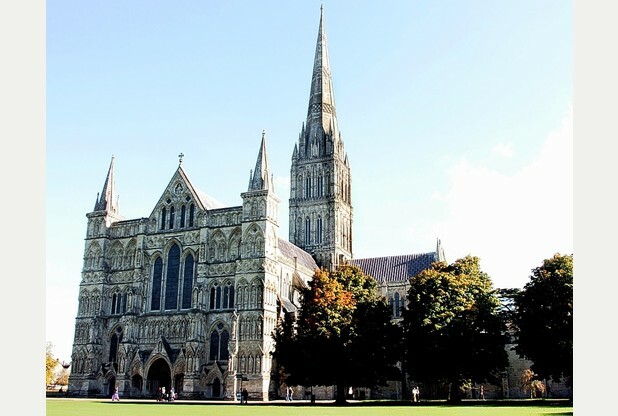 Exploring Salisbury allows you to unravel 5000 years of history. These six experiences are guaranteed to spirit you back in time. The ‘Great Charter’ is lauded worldwide as a symbol of freedom and justice – quite astonishing for an 800-year-old document concerning the rights of English noblemen. Sealed on the banks of the Thames in 1215, the Magna Carta curbed the powers of the English throne, gave land-owning rights to noblemen and laid down the right to a fair trial. Barons enjoyed the benefit of these new laws, while peasants remained as downtrodden as ever. But despite this, the Magna Carta has become a global inspiration, in particular the oft-quoted words, ‘No free man shall be seized or imprisoned, or stripped of his rights or possessions, or outlawed or exiled’. It has been credited as a predecessor to the United States Constitution and the Bill of Rights. True enthusiasts are waiting to hear if they will be part of the lucky few to see all four copies at a one-off exhibition in London’s British Library (decided by ballot). But Salisbury’s copy – the best preserved of the four – continues to be part of a grand display in Salisbury Cathedral’s Chapter House, and will be the focus of a calendar of celebrations, talks and choral music during 2015. One of the pleasures of visiting Salisbury’s Magna Carta is the enthusiasm of the volunteer guides. Check visiting hours on salisburycathedral.org.uk – avoid 3 February 2015, when Magna Carta will be on tour in London. There’s much more than Magna Carta to admire at Salisbury Cathedral. This grandiose construction boasts England’s largest cloisters and cathedral close, and harbours a rather singular curio, the world’s oldest working clock (dating to 1386). Most significantly, Salisbury Cathedral boasts the tallest church spire in the United Kingdom (a cloud-piercing 123m high). Those with a head for heights – and a stomach for narrow spiral staircases – mustn’t miss a guided tour of the tower for views over the rolling hills of Wiltshire. Visitors with a taste for the days of lordly squabbles and tight-bodiced dames will find other traces of medieval Salisbury throughout the city. It’s impossible to miss the elaborate stone Poultry Cross in the market square, and look out for the coat of arms on the North Gate. Salisbury Cathedral is open daily. Tours of the tower take 90 minutes and allow limited numbers, so book a slot early on salisburycathedral.org.uk. For an alternative view of Salisbury Cathedral, step out on the ramparts of Old Sarum. This Iron Age hill fort, slightly north of the city centre, holds the key to Salisbury’s early history. Old Sarum was established in 3000BC, and for centuries was a castle stronghold with a thriving community. Old Sarum’s significance as a military outpost ended abruptly in the 13th century when its bishop was given permission to build a new cathedral in what is now modern Salisbury. People fled Old Sarum to seek their fortunes in the new city, while Old Sarum’s cathedral was gutted and torn down. The result is a site frozen in time: the old cathedral is a ghostly outline, and the windswept ramparts jealously overlook Salisbury. Roaming this exposed site is best reserved for a sunny day. Old Sarum is a 10-minute drive (or short bus ride on the 8 or X5) from Salisbury city centre. Plan your visit on english-heritage.org.uk. These millennia-old monoliths certainly draw the crowds, but further north lies a site vaster and more ancient than Stonehenge. The Avebury Stones stretch back even further (to an estimated 2850BC) and form Europe’s largest stone circle. The three rings making up this Neolithic monument are thought to have been the focus of rituals warding off nature’s crueller whims. Today, a chapel and a pub, the Red Lion Inn, are encircled by these ancient stones. 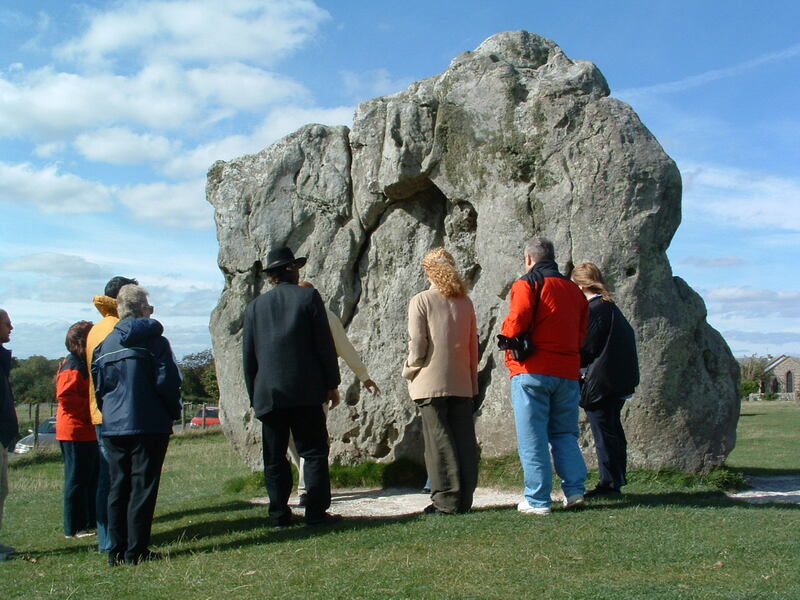 Visit Stonehenge and Avebury as a combined day-trip from Salisbury. Stonehenge is a 20-minute drive north of Salisbury, and Avebury another 35 minutes by car from there. Tours from London are also available. Want to explore a more genteel era? Salisbury boasts an array of period buildings from the 18th and 19th centuries, and the jewel in the crown is Mompesson House. With its stone exterior, iron gates and tranquil walled gardens, Mompesson House is so unabashedly English that it was chosen as a filming location for the 1995 movie Sense and Sensibility. Exploring the interior is evocative of Georgian England – you can almost detect a whiff of smelling salts. You’ll sidle past delicate plasterwork and period furniture, glance at 18th-century goblets and mother-of-pearl jewellery boxes… anyone else need their corset loosening? Mompesson House rewards eco-friendly travellers: mention that you arrived by bike or public transport and enjoy a discount in their tea room. Plan your visit at nationaltrust.org.uk. Time travel is thirsty work. Luckily Salisbury’s pubs have rich enough folklore to keep the history flowing along with the ale. Start at the Haunch of Venison: not only does this pub, dating to 1320, conceal secret passageways (supposedly wending their way to the cathedral), it’s also the site of a mischievous ghost. Another 14th-century drinking haunt is Grade II-listed The Cloisters (cloisterspubsalisbury.co.uk), a winter favourite for its open fires and Sunday roasts. Finally, the Ox Row Inn (theoxrowinn.co.uk) is a relative youngster, pouring brews since the 16th century. Some of the old-world charm has been polished out of it during recent makeovers, but its black and white timbered exterior and ale selection make it a fine stop on a historic pub crawl. Want to go right to the source? Book a visit to a’Beckett’s Vineyard (abecketts.co.uk) or Wadworth Brewery (wadworthvisitorcentre.co.uk). Salisbury is an easy day-trip by train from London (1½ hours) or Bristol (from 1 hour 10 minutes) but you’ll need your own wheels if you want to explore the Wiltshire countryside. Basing yourself in Salisbury for a couple of days allows plenty of time to explore the sights and make the most of pubs and local eats. Sticky your fingers over cream tea at Howard’s House (howardshousehotel.co.uk), splurge on confit duck at local favourite Charter 1227 (charter1227.co.uk) or go for sophisticated contemporary Indian at Anokaa. If you want sumptuous lodgings in the city centre, choose St Ann’s House or Milford Hall. For rustic atmosphere and river views, go with the Legacy Rose & Crown Hotel. Salisbury Museum, home of the Wessex Gallery of Archaeology, is hosting a new Festival of Archaeology during the weekend of 18/19 July 2015.
gallery is beautifully designed to display many important finds from the Stonehenge World Heritage sites and England’s “Valley of the Kings”. Alex Langlands, archaeologist and presenter of BBC TV’s Wartime Farm said, “With Stonehenge, Avebury, Old Sarum and the cathedral at Salisbury, there are few counties in the south of England that boast a better line up of archaeological sites. However, as an archaeologist, the real jewel in the crown for me is the Salisbury Museum. 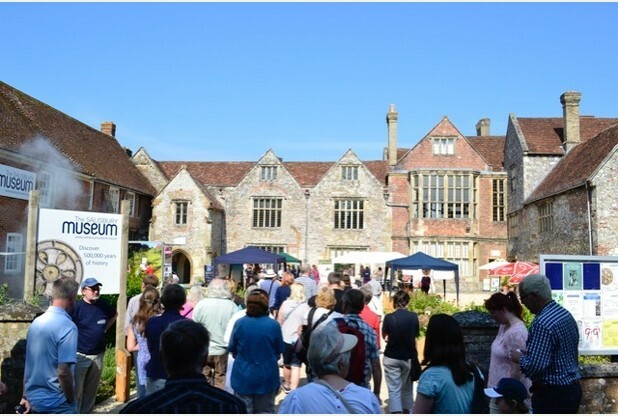 “Following enthusiastic responses to the Wessex Gallery from both public and press, the museum has planned this larger Festival, fuelled by a passionate ambition to inspire further public engagement in archaeology. The Wessex Gallery, led by energetic museum Director Adrian Green, has set its sites to become a major international resource at the centre of England’s ancient archaeological heartland. “The Festival falls within the ‘Digging Season’ and before the schools summer holidays. The weekend will include presentations and lectures, set against a big showground event. Leading figures in the British archaeology community will be present to debate, make presentations and engage with the public. As Salisbury Cathedral prepares for a bonanza year of events to celebrate Magna Carta’s 800th anniversary, work has begun on our new Chapter House exhibition. “It’s very exciting that 2015 and the Anniversary Year is finally here – and to see work actually starting. The new Magna Carta exhibition will see the Chapter House and Cloisters transformed into an interactive space that will set the document in its historic context. It will be an immersive visitor experience with digital media displays, artefacts, interactive stations and video to bring the story of King John and his barons to life and prompt us to reflect on what the Magna Carta really stands for” said David Coulthard, Marketing and Communications Director. Alongside Magna Carta, other rare medieval documents from the Cathedral’s archive will be put on show, in addition to a selection of objects loaned by Salisbury Museum. During the construction work Salisbury Cathedral’s original 1215 Magna Carta will not be on public display and the Chapter House will be closed. However a near perfect facsimile of Magna Carta will be displayed in the Morning Chapel on the North side of the Cathedral. Whilst off display the 800 year old document will undergo conservation work in preparation for the British Library and House of Lords unification events on 2- 4 February, when all four of the surviving original 1215 copies of Magna Carta will be brought together for the first time. When returned to Salisbury Cathedral, Magna Carta will be installed in the new exhibition, which will open in March 2015. View images of the dismantling of the old Magna Carta display here. YOU can travel back in time on this holiday and trace thousands of years of British history, from Stonehenge up to the signing of the Magna Carta. Visit Salisbury Cathedral, is unique among English medieval cathedrals having been built in a single architectural style – early English gothic. From the famous standing stones through to the celebrated document inspired by King John and the Georgian streets of Bath, this is a trip that will no doubt fascinate and delight. After boarding the private coach in the early morning you will travel towards your hotel, visiting the quant villages of Castle Combe and Laycock along the way. Both have featured in major films and TV series, Castle Combe in Stephen Spielberg’s War Horse and Lacock was used in some scenes for the Harry Potter films. Lacock also featured in the popular TV programme The Cranford Chronicles. After dinner and a chance to relax in the hotel, day two will be all about Stonehenge, where you’ll head after breakfast. The first stop of the day is the famous standing stones and its long-awaited and now open exhibition and visitor centre. The exhibition contains nearly 300 archaelogical treasures found in the area, and also valuable insights into how and why the stone circle was built, and the people responsible. The monument itself is a little over a mile from the centre, so you will have the choice of walking to it with a complementary audio guide or using the shuttle for the ride to the stones. After seeing the stones, you will then travel to Salisbury Cathedral, which is unique among English medieval cathedrals having been built in a single architectural style – early English gothic. The Chapter House here is home to the finest of only four surviving Magna Carta, the first formal document of its kind that paved the way for democracy. An exhibition explaints how it came about, and what its significance is even today. On day three you will head to Bath and enjoy a full day at leisure in this fine city, which boasts its famous Roman baths, the Royal Crescent and beautiful Pulteney Bridge. After breakfast the following day you will enjoy a brief tour of the Cotswolds, including the charming village of Malmesbury, before heading home. Avebury shortlisted as Heritage Site of the Year. AVEBURY has been shortlisted as Heritage Site of the Year in the BBC Countryfile Magazine awards 2014/15. Well known for its henge, which is cared for by the National Trust, Avebury was chosen against some strong competition for the awards shortlist. Now the poll has been opened up for people to vote for their favourite places. Eleanor Eaton, visitor services manager for the National Trust at Avebury said: “We’re up against some special places, including Portmeirion village in North Wales, and Kew Palace in Surrey, so we would be really grateful if people who share our love of Avebury were to take the time to vote for it before 31 January. Now in its fourth year, the BBC Countryfile Magazine Awards celebrate the UK countryside and its people, from great heritage attractions and favourite holiday destinations to the best nature reserves and the finest rural pubs. Avebury was nominated by Countryfile presenter, Jules Hudson, who said in his nomination that although the stone circle is often overlooked by Stonehenge, it is more readily accessible. The awards which feature 12 categories, including rural pub and garden of the year, were launched in the January edition of the magazine. To whittle down the contenders, BBC Countryfile Magazine asked experts in each field to draw up shortlists of candidates in each category.